Company «German Centre Moscow». 200 people. Moscow. 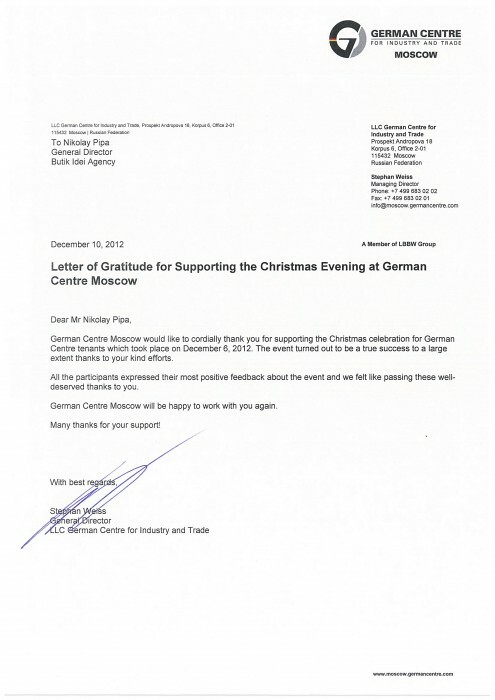 German Centre Moscow would like to cordially thank you for supporting the Christmas celebration for German Centre tenants which took place on December 6, 2012. The event turned out to be a true success to a large extent thanks to your kind efforts. All the participants expressed their most positive feedback about the event and we felt like passing these well-deserved thanks to you.